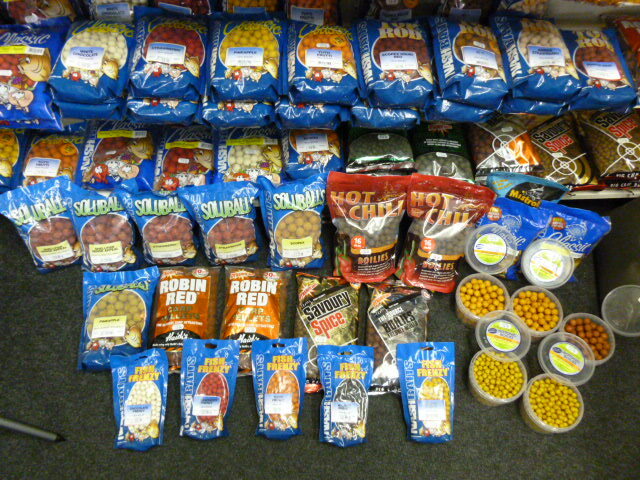 If there is a fish which requires the largest bait diversity it is the carp, and we stock it all! 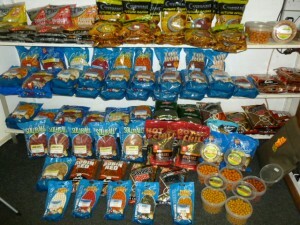 From Boilies that are Chilli Flavour to pineapple pellet and if we don’t have it we will do our best to get it! PELLETS – POP UPS – PASTE? 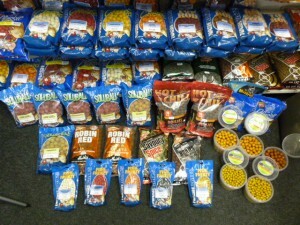 All Colours Flavours and Sizes! 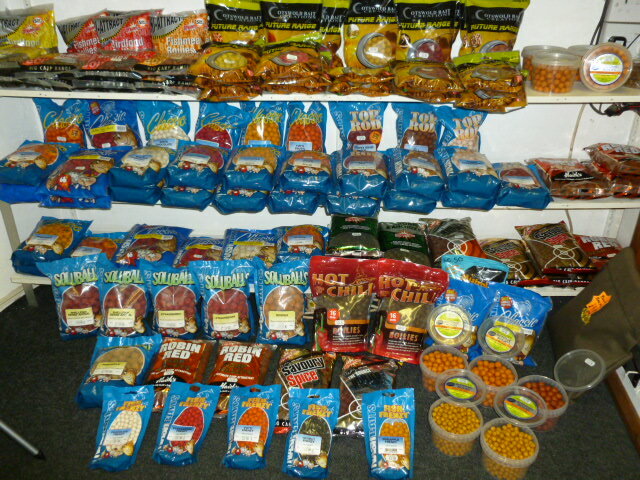 Just a few of the boilie flavours we stock, we also stock some frozen boilies and are able to order different types in as you wish so if you are wondering what we can get please ASK ! 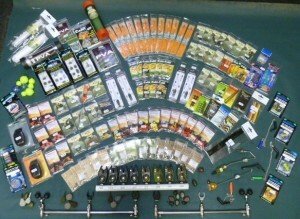 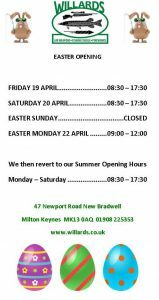 The list of different tackle is huge, so please come in and have a browse at the range of different tackle that we can supply! 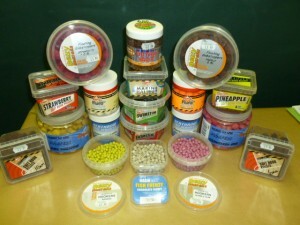 We also stock some rod pods for the Buzz Bars and as always if there is something you want to order please just ASK.